Gladys Martinez had to catch her breath. It was 2014, and chef Kevin Maxey, of Ford Fry’s Atlanta restaurants Superica and The El Felix, was on the phone. Maxey wanted to use her Tía Gladys brand of masa on his menus. Martinez’s family had deep roots in the masa business, dating back to 1948, when her great-grandfather started grinding masa for a fee. At that time, in Ojo de Agua, San Luis Potosí, central Mexico, he lacked access to electrical power, so he relied on a gas-fueled motor. Great-granddad taught his son, who taught his daughters, Martinez’s mother and aunt. They continued the tradition. Born in 1976 in Pharr, Texas, she grew up with great respect for corn and the savvy that made it possible to sustain a business. It wasn’t long before she became a masa expert. Unlike her elders, Martinez had to be convinced to make masa her career. 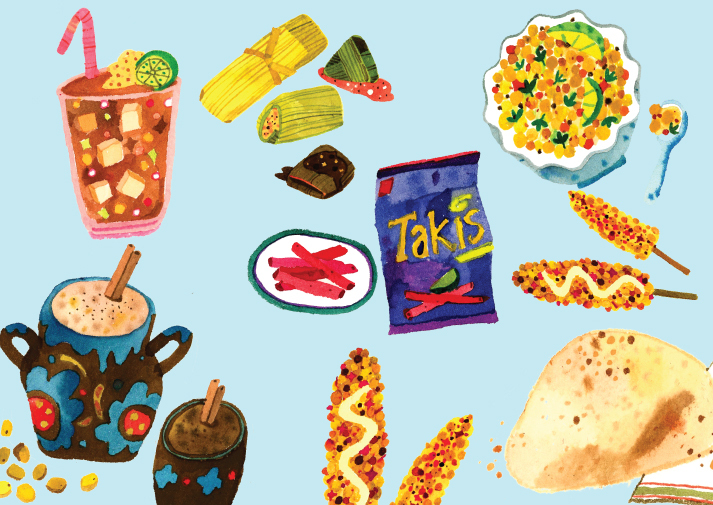 Word got around that her masa was exceptional—a holy grail for the Mexican home cook. By 2011, Martinez had moved to Atlanta. She cleaned properties for a fire restoration company and sold nutritional supplements for Herbalife. Between shifts, she ground corn and made masa for her family and friends. Word got around that her masa was exceptional—a holy grail for the Mexican home cook. Everyone wanted more. The label on the package read Tía Gladys. Her production facility was a mobile home—only temporary, she told herself. Her first client was Supermercado La Villa in Acworth. Martinez followed a meticulous process. She began with high-quality corn kernels, which she soaked in lime water. To remove the husks pre-grind, she drained, cooked, and massaged the kernels. Finally, she ground the corn, either by hand or machine depending on the end use—coarse for tamales and fine for tortillas. People loved the flavor. Following her call with Maxey, Martinez pushed to scale up production to meet new demand. Like many product-based small businesses, she struggled to keep pace with deliveries. David Trancoso of La Cosecha Food Service, which also owns the restaurant chain La Parilla, stepped in. He offered to help Martinez deliver her masa to Maxey’s restaurants, while she continued to handle the stores. In May 2014, when Trancoso arrived to pick up the masa, he noticed that Martinez was visibly upset. She had outgrown the mobile home business. Her temporary facility in Calhoun was too far from her house—seventy-five minutes one-way. She had found a former tortillería space but was $60,000 short of the $90,000 price tag. Martinez was considering a loan to bridge the gap. Trancoso offered a partnership instead, where he would facilitate deliveries and invest in the business. Martinez agreed. The Tía Gladys headquarters sits in a Woodstock strip mall. Inside, the walls are bright orange and lined with an ATM-sized, metal grinder and a refrigerator with glass double doors. A conveyor belt cuts through the center of the room. Martinez and her team, which includes her sister, her daughter, and a friend, don plastic aprons, hairnets, and gloves. 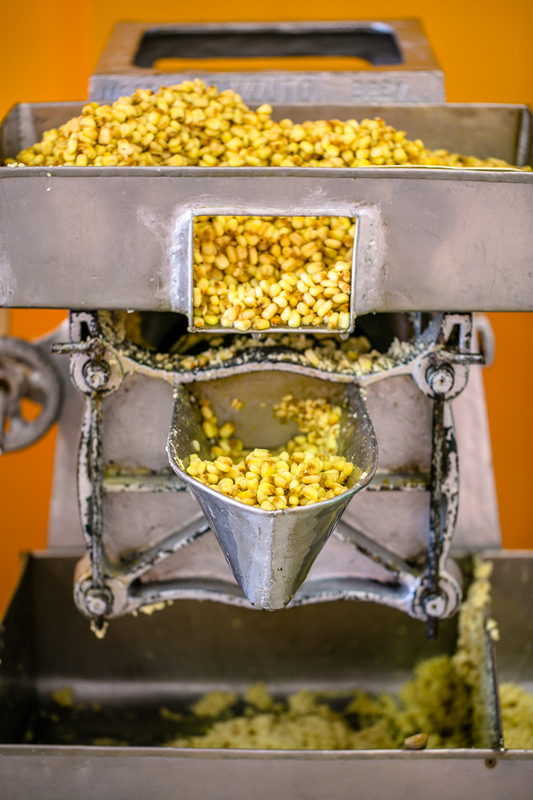 Martinez shovels scoops of soaked corn into a device the size of a washing machine. The machine spits out mounds of wet, coarse cornmeal. Martinez’s team transfers the masa to cookie sheets. When the dough dries, they will bag it and refrigerate it prior to delivery. They wish to eat masa again. Pulling from a bowl of dough, Martinez and her colleagues use a press to form tortillas seven to eight inches. They cook the tortillas on a comal the size of a hula-hoop. Martinez bounces the hot, thin rounds between her hands to cool before filling them with chorizo and tomatillo salsa, spooned from a worn Dutch oven. Martinez says it took her five years to get to this point—to acquire a loyal customer base, to expand her distribution, to pay for the machines. She provides Superica and El Felix with three hundred pounds of masa every week. 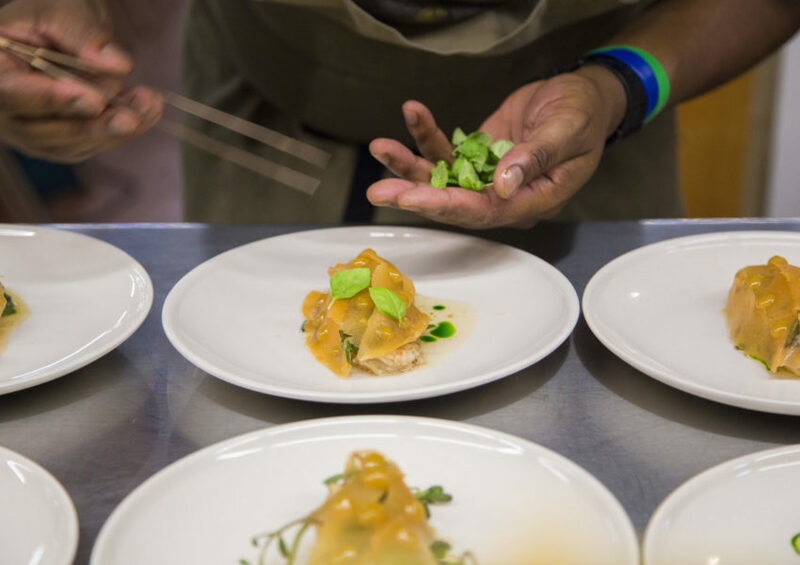 With that masa, Maxey and his crew make tamales, puffy tacos, and shrimp tacos dorados. In the corner stands a new tortilla line Trancoso brought from Mexico. Martinez will use it to fulfill Maxey’s orders. She hopes that other restaurant deals will follow. Tía Gladys has gained wide recognition and Martinez enjoys it. The attention also makes her nervous. She gets recognized at restaurants as “the masa woman,” but being a local celebrity is awkward for this soft-spoken woman. A need for acknowledgment didn’t drive Martinez to build Tía Gladys. 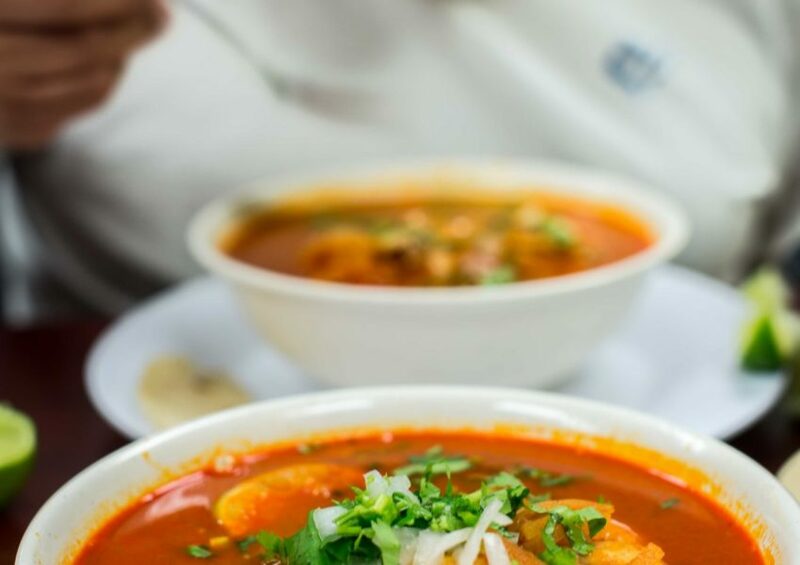 She wanted to create a family business and connect people who left Mexico with a taste of home. “They wish to eat masa again,” she says. 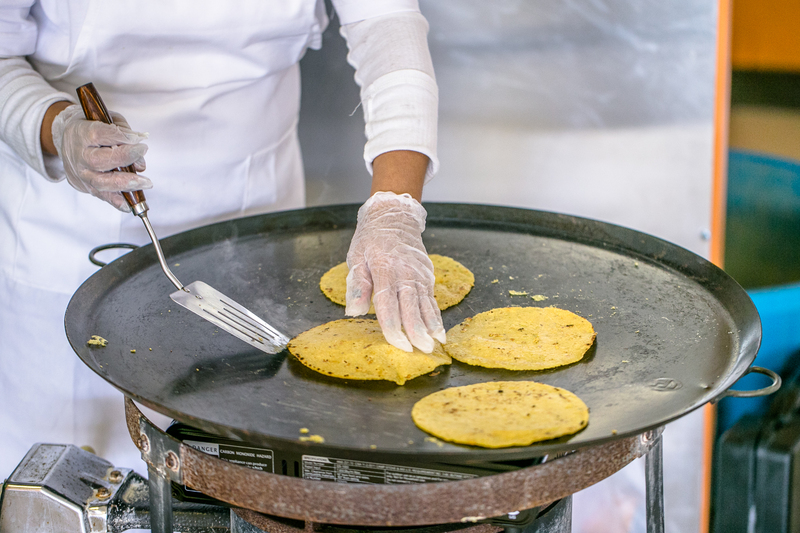 “The tortillas that the family makes for them…that their mother, or the grandmother makes. It’s my vision to help the people eat that again so they can remember the tortillas from when they were children.” Sometimes, the life Martinez built with Tía Gladys still feels like a dream. Thanks to her, a generation of Southerners are creating masa-filled memories that feel real. Jennifer Zyman writes about dining for Atlanta magazine. Corn possesses that power to tell the story of a people. Even when rendered as snacks. Especially when eaten as snacks.